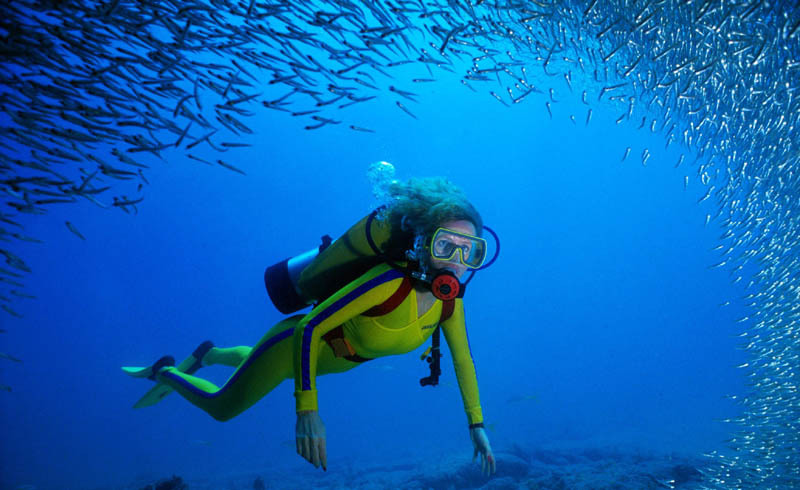 For those with a love of the sea or an adventurous spirit, learning to scuba dive is an unforgettable experience. It can also be an expensive one, with the average entry-level dive course in Florida, United States costing around USD $550. There are more affordable places to get certified, however — most of them in developing countries where rent, wages, fuel and other business essentials are considerably cheaper. In theory, the quality of a dive course should be the same all over the world — after all, scuba instructors are certified through international agencies with standardized training methods. However, the reality is that there are good and bad dive centers and instructors everywhere. Cheap doesn’t necessarily mean poor quality — but it is important that you research your options carefully to make sure you’re not saving a few dollars by sacrificing on safety. In particular, find out how many people will be in your class and how long the course will take. A quality entry-level dive course should take a minimum of three days (although four days or more is preferable in order to give you enough time to master the diving techniques that will keep you safe underwater). It’s also important to find out what’s included - if you have to pay extra for gear rental or teaching materials, a cheap course can quickly become expensive. You should also consider the expense of getting to your dive destination and the cost of living once you’re there. Generally, land-based (not liveaboard) diving is cheapest, especially if you can save on fuel costs by diving from the shore instead of from a boat. In this article, we look at five of the most affordable places to do your PADI Open Water Diver course. All of them have good quality dive sites and an abundance of affordable accommodation and dining options. Located off the east coast of Thailand, the tiny island of Koh Tao has earned itself a reputation as South East Asia’s best destination for learning to dive on a budget. With more than 60 dive centers, prices are competitive, costing THB 9,800 on average (approximately USD $300). 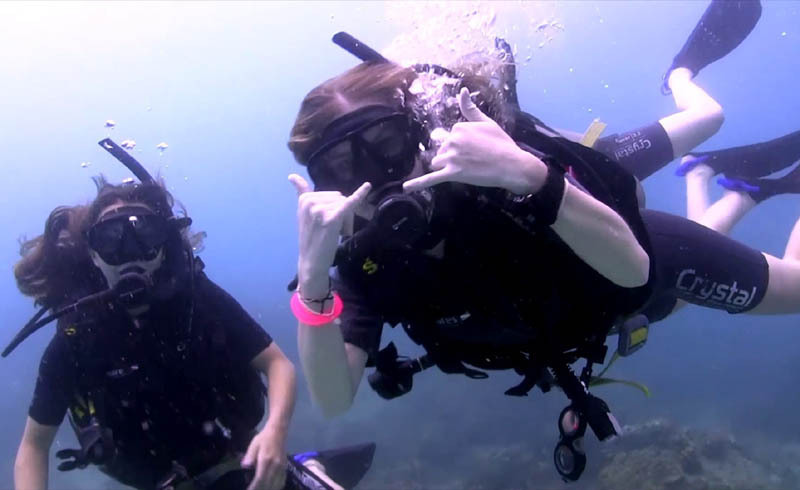 Courses are offered in a multitude of different languages, and once you’re qualified, fun dives are equally affordable — allowing you to gain experience underwater without breaking the bank. The conditions around Koh Tao are generally good, with average water temperatures of around 82ºF/28ºC. Visibility varies throughout the year and from site to site, but often exceeds 65 feet/20 meters. However, the quality of Koh Tao’s dive sites has been reduced in recent years by overfishing in the Gulf of Thailand. The coral cover and variety of fish life cannot be compared to more remote sites in Indonesia or Borneo, but first-time divers are still likely to be impressed. Surrounded by the sparkling Caribbean, Utila is the smallest and cheapest of Honduras’ idyllic Bay Islands. Home to a host of budget accommodation options, it has earned itself a reputation as a tropical backpacker’s paradise. There are plenty of dive shops to choose from, with the cost of a PADI Open Water dive course averaging around USD $280. Although course prices are pretty consistent, some dive centres offer better package deals on diving and accommodation. Utila is an especially good choice if you’re planning on progressing through the PADI education system. It is one of the cheapest places on the planet to qualify as a professional divemaster or instructor. Best of all, the dive sites here are world-class. Healthy reefs support a wealth of marine life, ranging from manta rays and turtles to whale sharks in season. Expect sea mounts, reef walls and wrecks, all washed by perennially warm, clear waters. 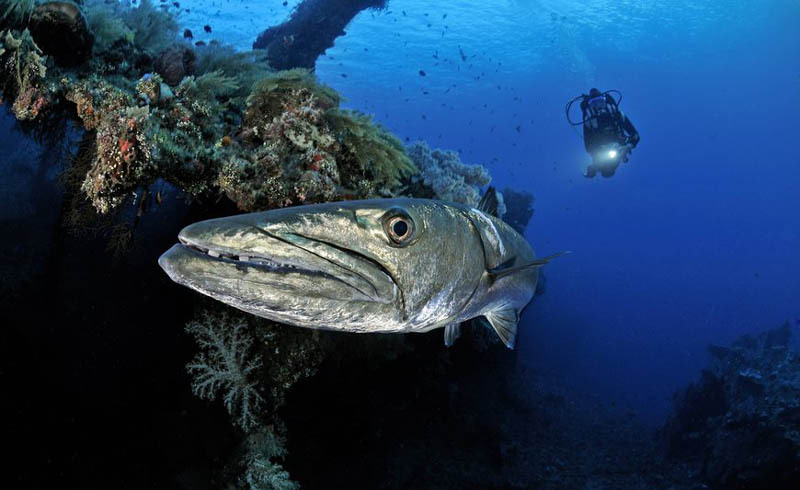 Egypt’s Red Sea has long been one of the world’s most iconic dive destinations. 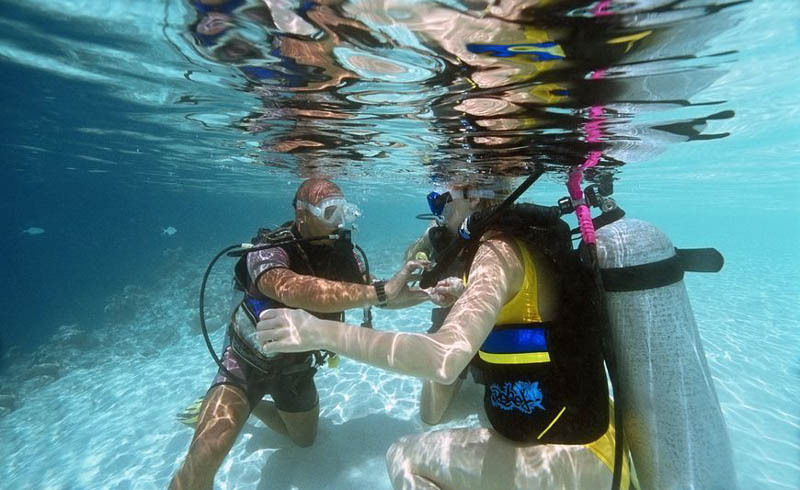 It is also surprisingly affordable, with PADI Open Water courses in Sharm El-Sheikh averaging around USD $360. In recent years, tourism in Egypt has suffered due to safety concerns raised by political instability and increased terrorist activity. However, resort towns like Sharm El-Sheikh are still considered safe, and the reduced number of visitors means uncrowded dive sites and rock-bottom prices. 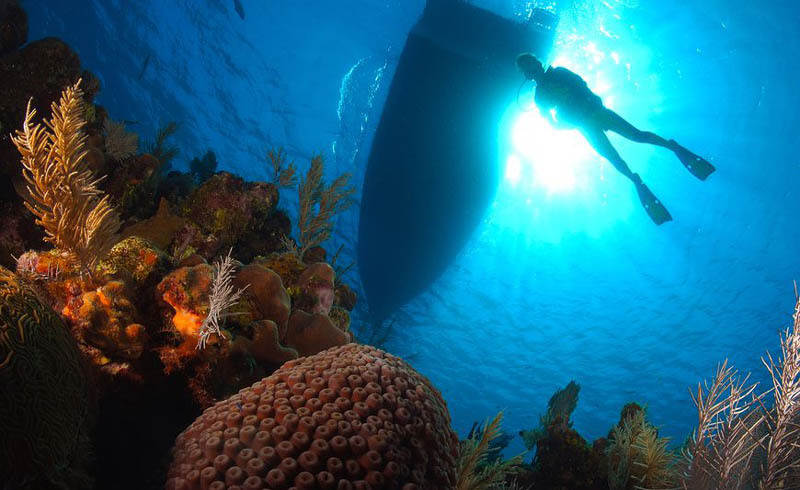 Many dive centers are slashing course rates in an attempt to revive business. With luck, you may be able to find specials that allow you to get scuba certified for as little as USD $250. The diving here is legendary, offering easy access to Sinai Peninsula highlights like the flourishing reefs of Ras Mohammed National Park and the Straits of Tiran. 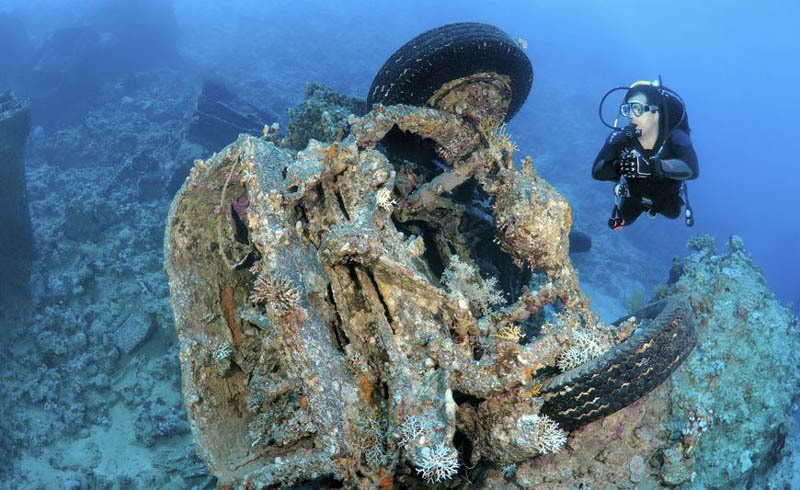 Stay on to do your PADI Advanced Open Water course and you may get to dive the SS Thistlegorm, considered by many to be the world’s best wreck dive. The Philippines is a well-known diver’s paradise. One of the cheapest places to get certified here is Dauin, a small coastal town located just south of Dumaguete on Negros Island. Here, entry-level courses average around PHP 16,500 (approximately USD $300). Some dive centers offer discounts if you choose shore dives instead of boat dives for your qualifying sessions in open water. This means that you’ll enter the water directly from land, saving money on fuel and crew. Dauin’s shore dives are a rewarding option for those interested in the ocean’s smaller critters — including octopus, cuttlefish, crabs and seahorses, all of which thrive in the island’s inshore waters. However, if you’re hoping to see larger animals it’s worth paying extra for boat dives, which will give you access to nearby Apo Island. The sites here are protected, and the reefs support a stunning profusion of coral and fish life as a result. The visibility is also at its best offshore. 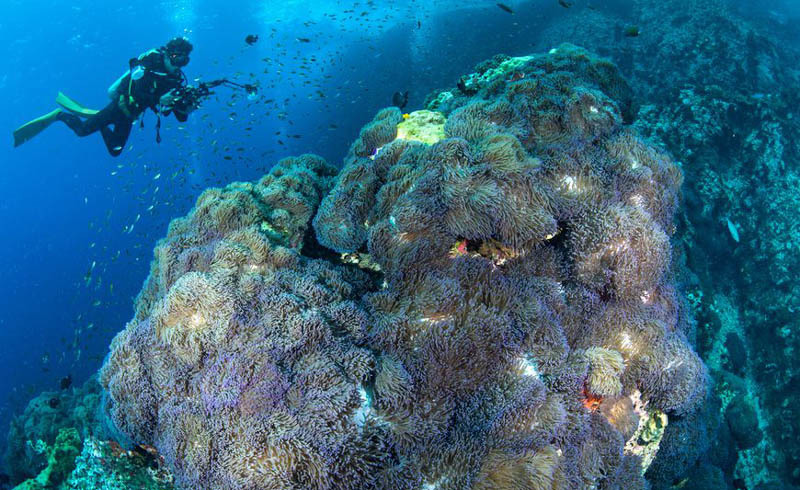 Diving in Indonesia can be expensive, especially in far-flung areas like Komodo and Raja Ampat. Tiny beach resort Amed is the exception to the rule, with courses costing around IDR 4,790,000 (approximately USD $320) in low season. Located on the east coast of Bali (and far from the busy tourist center of Kuta), Amed has a wide choice of dive centers. Many of them offer generous dive packages with hugely discounted rates on local accommodation. The cost of living in Amed is minimal, with good food and beautiful beachfront rooms available for a fraction of the price one might expect elsewhere in Indonesia. 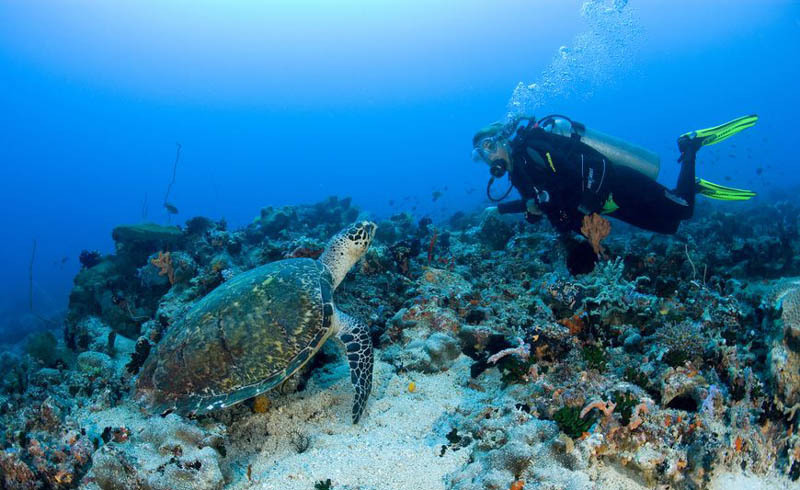 The diving is characterized by stunning visibility, black volcanic sand and colorful reefs that teem with an impressive variety of marine life. Keep an eye out for turtles and reef sharks. Don’t miss the USAT Liberty, a magnificent WWII shipwreck located within a few feet of the surface at nearby Tulamben.